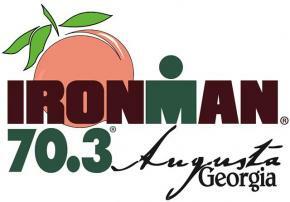 Ironman 70.3 Augusta will offer athletes the unique opportunity to race in two states, as the cycling portion of this event will take athletes into the great state of South Carolina. Prior to the bike portion, athletes will swim a 1.2 mile point-to-point course in the Savannah River exiting at the Augusta Rowing Club Complex and the Augusta public boat launch. Athletes will then cycle a single-loop 56 mile bike course through the beautiful countryside of South Carolina before returning to the Georgia side of the Savannah River and the city of Augusta, Ga. Finally, athletes will run a two-loop course consisting of 13.1 miles, through the downtown community of Augusta finishing near the Augusta Marriott Hotel and Conference Center.